This is a green tomatillo sauce that we made for enchiladas. We made extra and have used the sauce for a salsa dip and in tacos. It’s very versatile and tasty! UPDATE: If you don’t want to use a grill, or don’t have one, try this Roasted Tomatillo Sauce recipe. 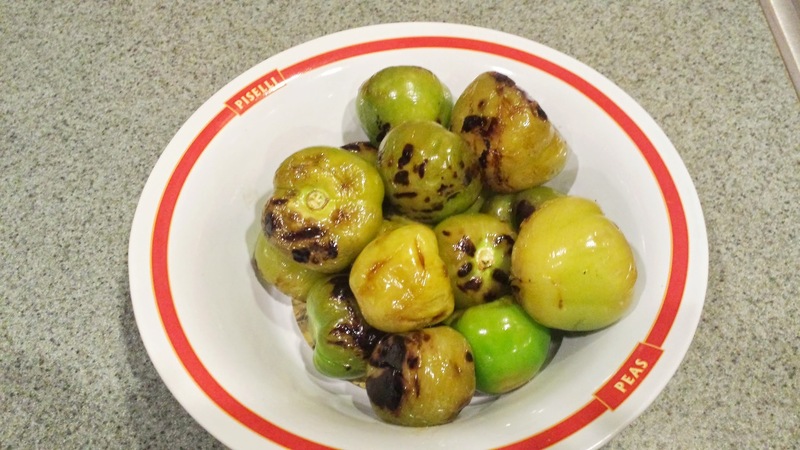 Grill the tomatillos on your grill over high heat for about 10 minutes. You want them to have a little char but still a little firm. Then grill the poblano peppers until the skins are black. Allow the poblanos to cool in a plastic bag, this will help when you remove the skins. Once cooled enough to be able to handle, peel the skins off the peppers and then chop them. 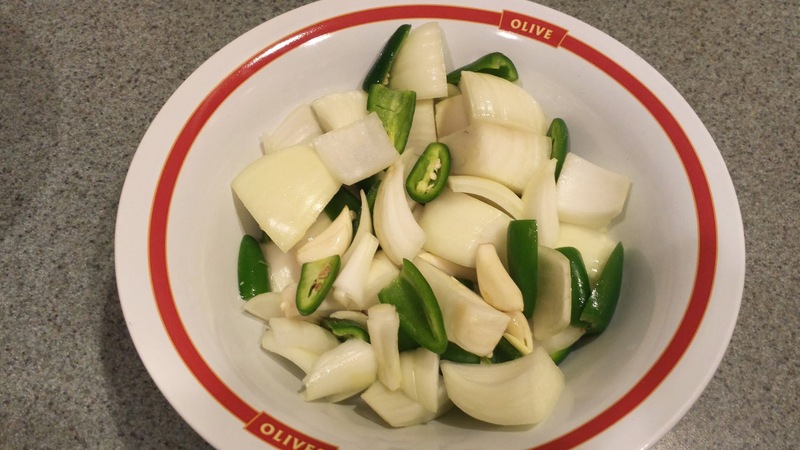 Saute the onion, garlic and jalapenos in olive oil until soft, then remove from heat to cool. Mix the tomatillos, poblano, onion, garlic and jalapenos in a blender until smooth. Then move into a pan and add the chicken stock. Allow to simmer for 1/2 hour.